The Complexity of Greatness! Of what is greatness comprised: talent, practice, genes, nature, nurture, prodigy, passion? In the gallery of guitar greats reside Jimi Hendrix, Jimmy Page, Stevie Ray Vaughan, B.B. King, Eric Clapton and more recently, TAZ. Brandon Niederauer, known as TAZ due to his ferocious and unique style of guitar prowess, merges easily into this gallery of greats. He is truly that respected and has performed with many notables such as the Allman Brothers Band, Dereck Trucks, Stevie Nicks, Slash, Dweezil Zapa, Lady Gaga, Spafford, and Dumpstaphunk just to name a few. 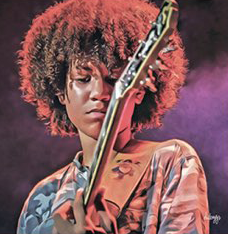 TAZ played the role of principal guitarist Zac Monneyham in Webbers’ Broadway musical, School of Rock; John Legend, in NBC’s Jesus Christ Superstar; and is featured in Spike Lee’s Netflix series, She’s Got to Have it. He has just returned from the 2019 Jam Cruise where he was a featured MVP on board. It’s an uphill battle and takes hours and hours of playing, but it is still my favorite thing to do every day after school. 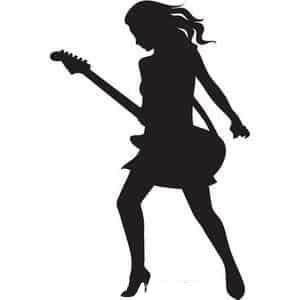 Playing is always fun and it will be for the rest of life…I have always wanted to explore all that I could on the guitar and I never dreamed I would be here at this point…I am very thankful! I do have a crazy schedule. I go to public school like any other kid, and I make straight A’s. Even if I am out playing until 2 o’clock in the morning, my parents still definitely make sure I am in class and getting straight A’s… School is very important! Knowledge is applied to anything in the world! TAZ attributes parental nurturing to greatness. When asked if he has advice for those who are parenting gifted musicians, he quickly responds that parents should nurture their kids and don’t push them. “Let them play what they want to play: metal, classical, rock, whatever, as long as it does not hurt anyone or is not violent.” He makes the analogy that raising a musician is much like raising an athlete, supporting them with the right kind of training. Wise beyond his years, wouldn’t you agree? Jimi Hendrix! There was so much behind every note he played and I would love to know the message behind everything he played, to know what he was going through, and what he was trying to convey. I would love to watch him, to play with him, and try to grasp any advice he might have for me. TAZ, it is quite evident that you too are now and will continue to be, instrumental in the progression of rock music. Obviously a product of many things: nurture, nature, passion, hard work, and perhaps a little channeling from Jimi, you define the complexity of greatness! Stay tuned to RockChat where in our next feature article, TAZ will tell us his thoughts on the difference between a good and a great musician, his practice habits, how he handles making mistakes, his best advice for young musicians, and more on his acting career.